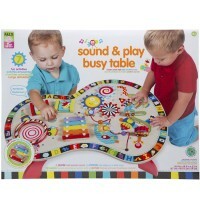 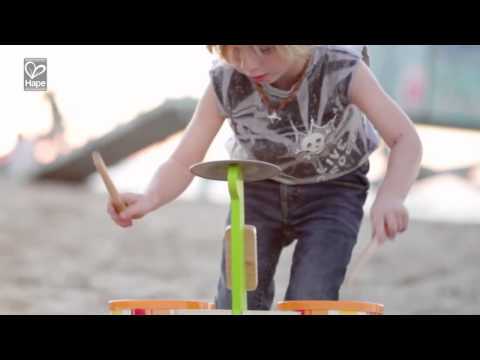 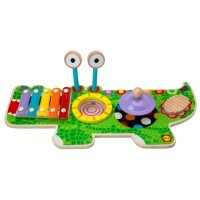 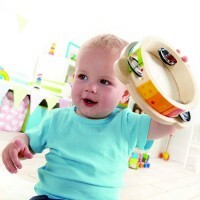 Let's play some cool rhythms with this first kids percussion play set by Hape. 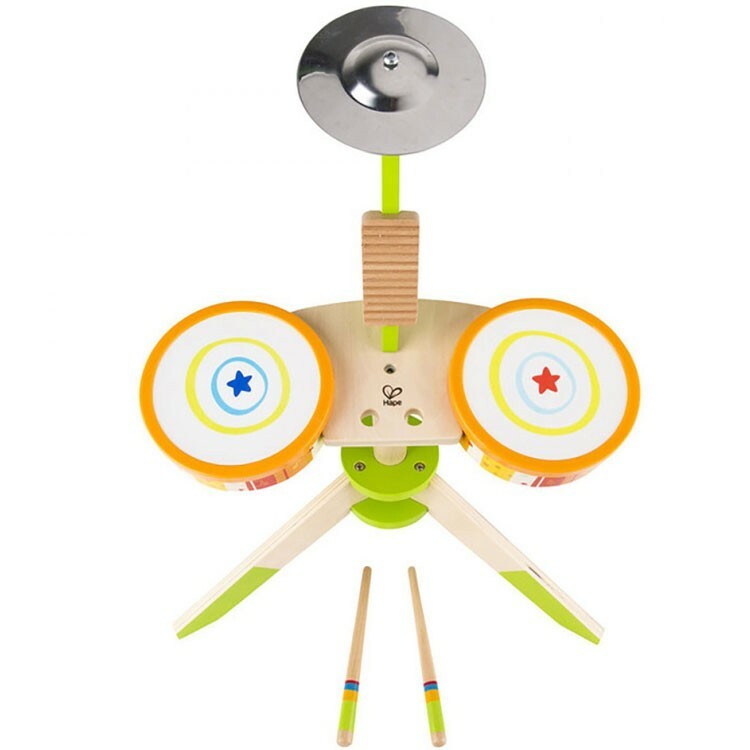 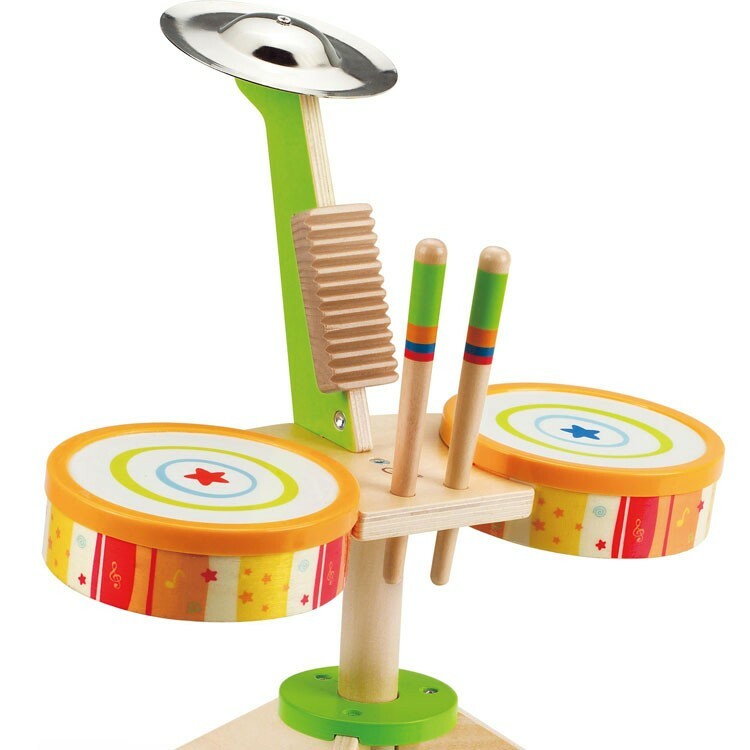 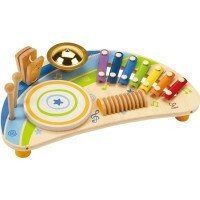 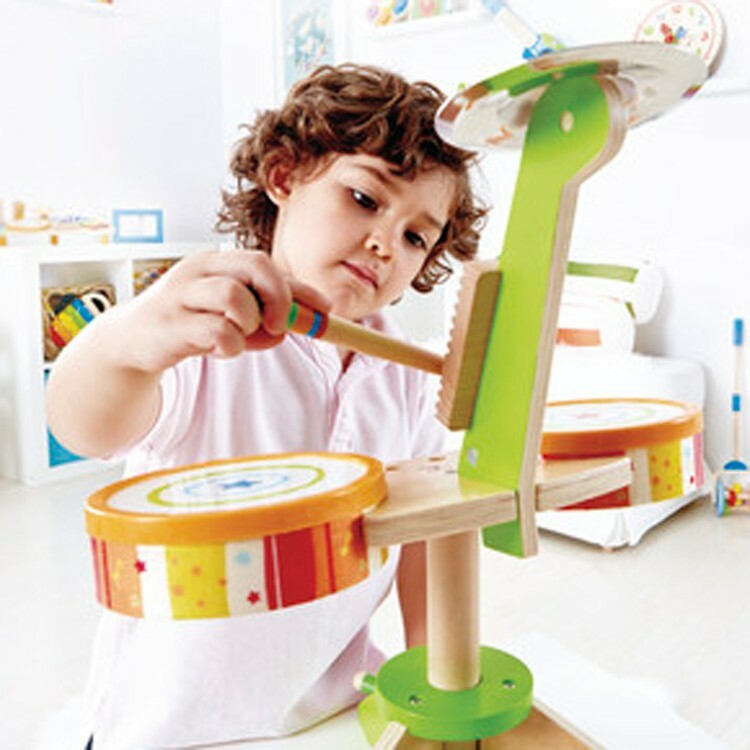 This percussion instruments set is your little drummer's dream gift! 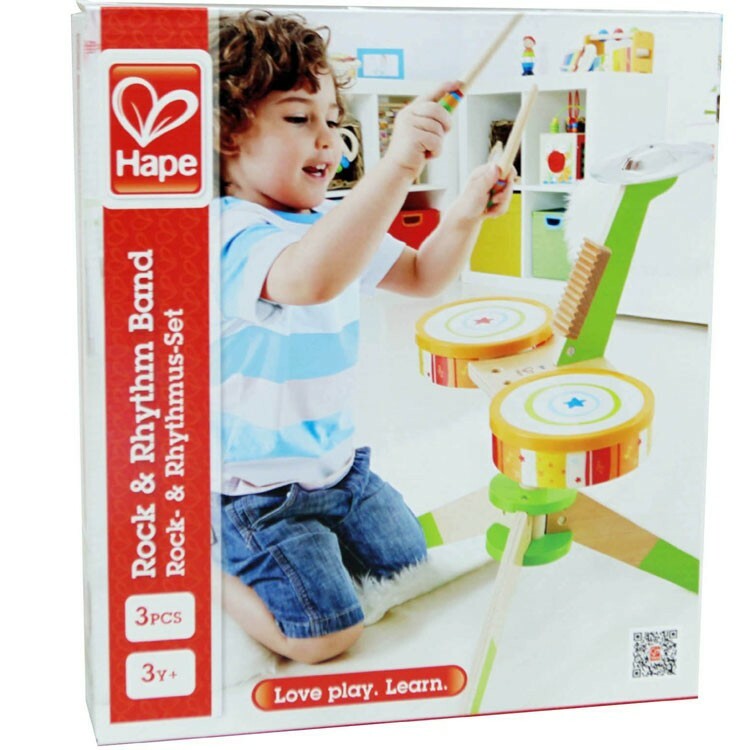 Kids Wooden Drum Set - Rock & Rhythm Band is made with Hape's famous quality craftsmanship and colorful kids friendly design. 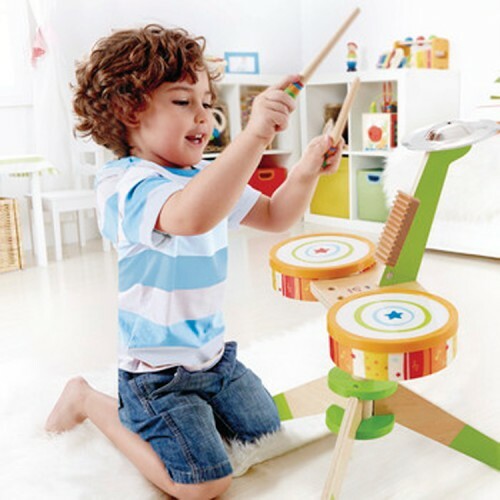 This kids wooden drum set features 3 percussion musical instruments: 2 drums, cymbals, and rhythm makers. 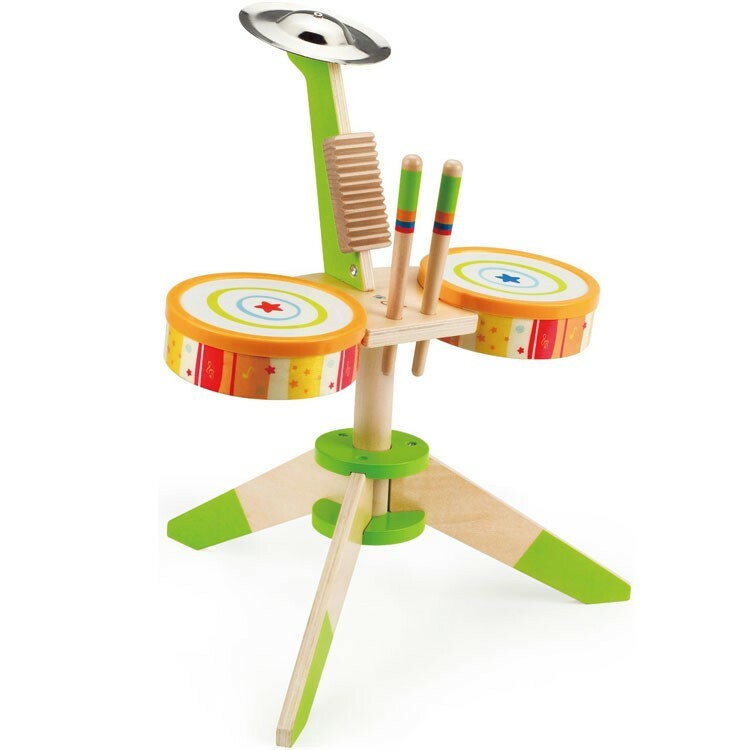 This drum musical instrument set comes on a perfectly sized for the young musicians stand. 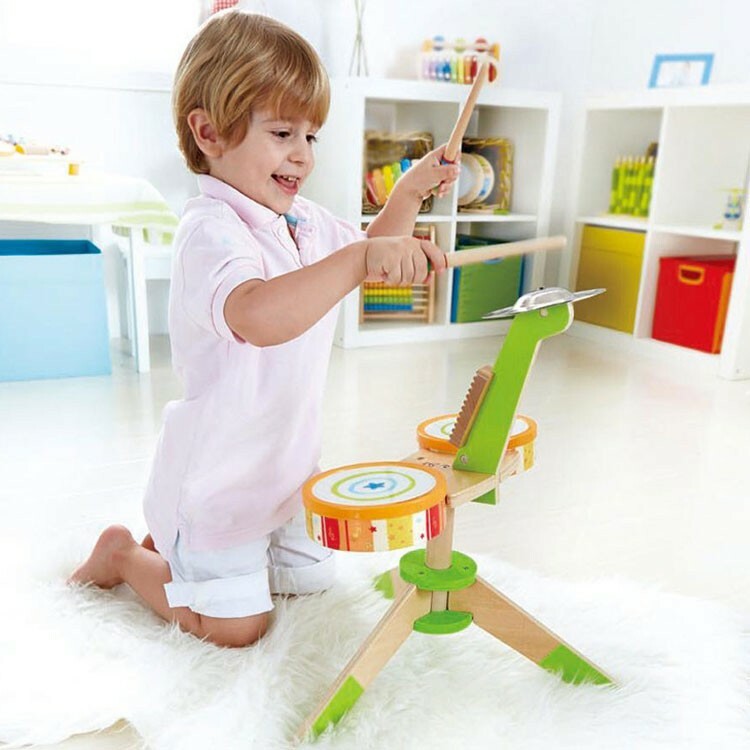 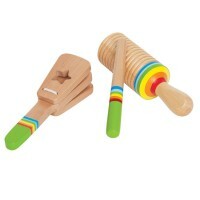 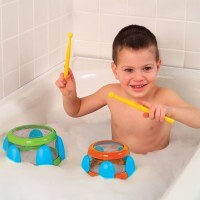 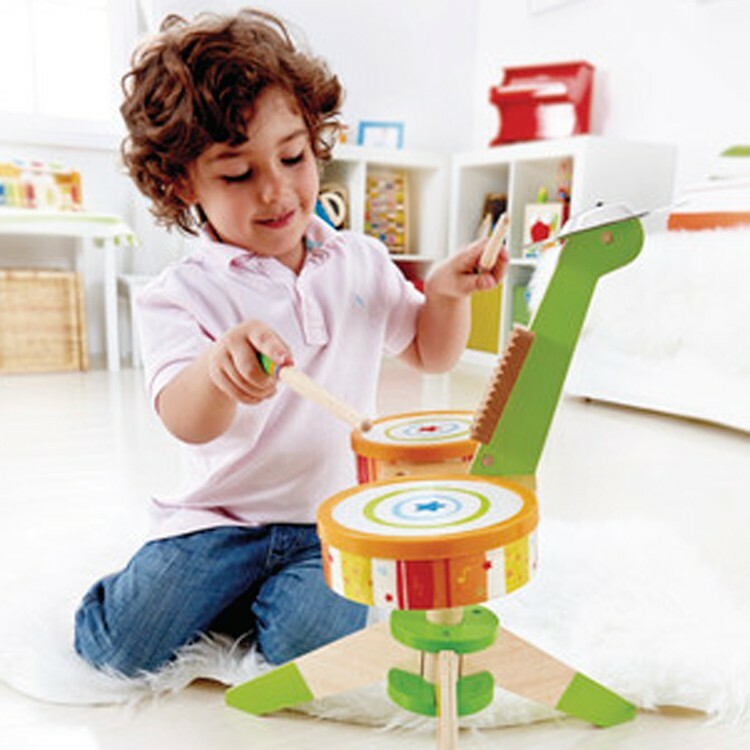 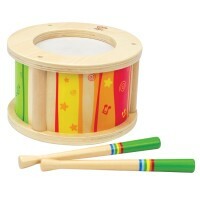 The Kids Wooden Drum Set - Rock & Rhythm Band from Educational Toys Planet features 2 drum sticks to play music. Make rhythm, compose your own percussion musical pieces or organize a music playing rock band with your friends or siblings - playing this first drum set is so much fun! 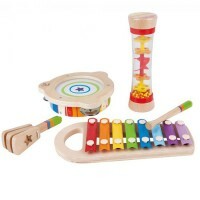 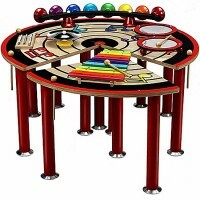 The assembled rhythm band set measures 15.75 x 14.8 x 18.9 inches. 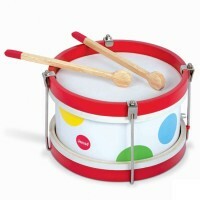 Dimensions of package 16.19" x 16.19" x 18.91"
Write your own review of Kids Wooden Drum Set - Rock & Rhythm Band.